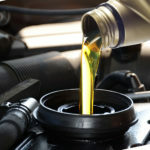 Servicing your car on a regular basis is crucial for better engine performance. Usually when you buy a car you get a logbook in order to keep records of all checks and services. It provides a detailed plan of exactly how and when you should get your car serviced according to the manufacturer. You can use log book servicing not only for new, but also for used cars as well. Car repairs will continue to be made according to manufacturer’s specifications and nothing will be left to chance. Moreover, you can use this logbook service at any auto shop. We offer fleet servicing for all types of vehicles from light rigid trucks and light commercial, to small passengers and sedans. Several vehicles or dozens, all fleet clients are provided with priority service, pick-up/delivery of vehicles and negotiated pricing structure. Contact us for more information. We can tune your engine, clean fuel injectors and inspect fuel lines and clean the air intake system. All of these services lead to improved performance and greater efficiency. Transmission repairs and replacement are available, contact us with your enquiry. We can inspect the exhaust system for leaks or damage and replace any faulty parts. Any faulty parts in the exhaust system can effect the performance an efficiency of your vehicle. Contact us with any queries or concerns. We can diagnose any cooling issues with a radiator pressure test, the inspection of hoses for leaks or cracks, check coolant levels, check the water pump for cracks or leaks and adjust any belts where required. We offer a full repair/replacement service for all makes and models. Contact us for more details.